At a media workout at Barry’s Boxing in Las Vegas on Monday, former four-division world titleholder Adrien ‘The Problem’ Broner 33-3-1 (24) maintained he has the power to knockout WBO ‘regular’ welterweight champion Manny Pacquiao 60-7-2 (39) when the two clash at the MGM Grand Garden Arena in Las Vegas, Nevada this Saturday night. “Every fighter is different, but I know if I touch him flush, I’ll put him out. 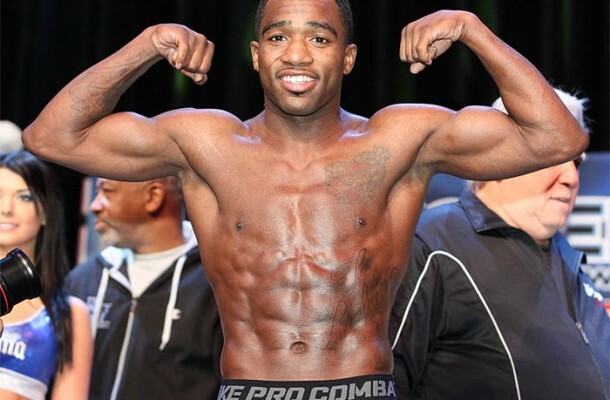 It’s no secret, he’s been to sleep before,” Broner said. The 29-year-old Cincinnati native, who is 11 years younger than the Filipino veteran, insists that age will have nothing to do with the result. “A lot of people are saying that Pacquiao’s age will be a factor, but I’m not looking at it like that. You see guys like Floyd Mayweather who stay undefeated at an older age. I’m just focused on being me. As long as I do what I have to do, I will be victorious,” he said. Victory for Broner will give his career a much-needed boost after extended periods on the sidelines and run-ins with the law. “I can take over boxing with a win over Pacquiao. There are a lot of great fighters in this sport, but they just don’t bring what I bring to the table. With a win like this, it would put me right where I was always meant to be,” Broner said. Coach Kevin Cunningham admitted they made some changes in this training camp to accommodate the extraordinary skillset of the surefire first ballot Hall of Famer. “We added some things this training camp, because we know he’s fighting a legendary fighter. This is one that he has to have and he realizes it. I expect a spectacular performance,” said Cunningham.